Daily Aamulehti reports that the Finnish government is seeking the public’s views on daylight saving time. Specifically, the ministry of transport and communication wants to know whether Finns would prefer to permanently stick to standard time or daylight saving time throughout the year. 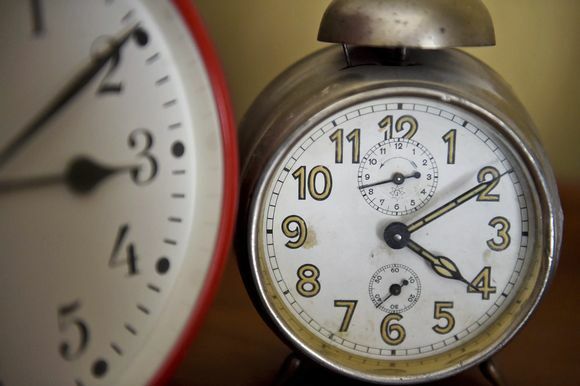 Aamulehti says it is possible that the biannual clock adjustment will end next year, should the European Union decide to give up the practice. Finland has been lobbying the EU for the abolition of daylight saving time since the start of this year after 70,000 Finnish citizens signed a petition demanding the switch. In August the European Commission proposed scrapping the clock changes in 2019. According to the Minister of Transport and Communications, Anne Berner, Finns are quite well-informed about the effects of the time change. Nevertheless, a special website will provide information on how turning clocks an hour ahead or back impacts on sleep or commerce, for instance. “The petition to end daylight saving time came from the citizens. We want to continue along the same lines and ask people directly about their views,” Berner says. The ministry will launch the survey on otakantaa.fi website next week. In other news, daily Keskisuomalainen reports that entrepreneurs with migrant background in Finland earn significantly less than native Finnish entrepreneurs. According to a study by the Research Institute of Finnish Economy (Etla), migrant business owners earn on average 23,000 euros per year, compared to 28,000 euros for others. However, the difference is mainly due to the fact that many migrants go into the restaurant business, where the average annual income is approximately 21,600 euros, Etla says. Finnish restaurant owners fared only slightly better, earning 22,400 euros per annum. Keskisuomalainen says 19 percent of migrant entrepreneurs run a restaurant, 9 percent provide other services and 7 percent work in construction. Etla's study shows that some migrant groups are more likely than others to establish their own businesses. For example, 40 percent of migrants with Turkish backgrounds work as entrepreneurs, while 16 percent from China, the Middle East and northern Africa have set up their own companies. Researcher Paolo Fornaro from Etla says that cultural differences may be behind these findings. "In Islam, entrepreneurship is valued, which may explain the figures for Middle-Eastern and North-African business owners." However, the difficulty of finding work elsewhere could also account for the number of migrant-owned businesses, Fornaro adds. Meanwhile, Joensuu-based daily Karjalainen reports that 92 percent of Finnish residents read newspapers and magazines weekly. Citing a national media survey, 49 percent of Finns read newspapers in print or digital form, down from 54 percent in 2011, Karjalainen says. However, the number of those reading only digital newspapers has grown from 4 percent in 2011 to 22 percent today. “We have benefited from our decision to focus on digital services,” says Pasi Koivumaa, editor-in-chief at Karjalainen. “Readers are interested in our web news and the subscription-only articles get a good amount of attention. They are usually among the most-read stories of the day,” he adds.